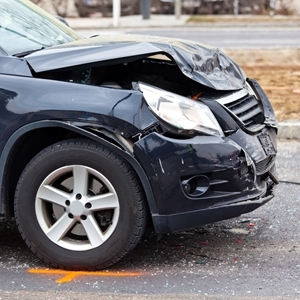 Vehicle safety is one aspect of owning a car that cannot be ignored. There's a lot of work that goes into this, and scheduling tune ups and taking care of repairs are just two of the many tasks that need to be accomplished. According to the Rubber Manufacturers Association, about 12 percent of the cars headed out on the roads this fall have bald tires. That creates a safety risk for drivers and passengers, which isn't something anybody likes to do. "Bald tires are dangerous," said Dan Zielinski, RMA senior vice president, public affairs. "A tire is considered bald when tread depth reaches 2/32nds inch. Bald tires have longer stopping distances and do not grip the road properly, particularly in wet weather conditions. Fortunately, there's a simple method to determine whether tire tread depth is safe: all you need is a penny." You can get a jump start on tire maintenance simply by observing your wheels. As the RMA suggested, the penny test should be done regularly. All you need for this is one of the copper coins. Place it in the groove of the tire upside down, with the head facing you. If some of the tread blocks the former president's head, you're safe for now, but if his entire head is visible, it's time for new tires. Additionally, make sure you take periodic readings of your tire pressure. Under- or overinflated wheels negatively impact fuel efficiency and driving performance. Because this can be easily avoided with a little effort and maintenance, there's no excuse to put yourself or your wallet at risk. Don't forget to check the spare tire while you're at it. Paying attention to how your tires are performing is important, but it's only going to take you so far. When you notice baldness or other issues, reach out to NJ State Auto Auction's Total Car Care Center for help. The professionals at this garage cater to the public and are capable of addressing any problems you may have. Having new tires put on is just the first step, as you may also need to have wheels aligned or the tires rotated, but the experts at NJ Auto have got you covered. Findings used cars can be difficult. You have many factors to consider – not the least of which includes a budget – and it can be a slog trying to balance everything out. One of the toughest aspects to figure out is how you're going to manage loans, particularly if you're what is known as a subprime buyer. More auto loans in the U.S.
Experian Automotive recently released its latest report, State of the Automotive Finance Market, and its findings are likely interesting for subprime buyers. The study noted that 30- and 60-day auto loan delinquencies increased by 3.7 percent and 8.6 percent, respectively, in the third quarter of 2014. In total, the balance for all auto loans jumped to $870 million – up from $784 million last year, according to the report. There is good news for buyers in the Mid-Atlantic region, however. Most loan delinquencies were concentrated in the southern part of the country. Mississippi, Washington, D.C. and Louisiana were the top three, in some order, for both the 30- and 60-day categories. Although there has been an increase in the delinquency rate, Experian Automotive officials maintained that the trend is normal and expected. Much of this is due to the sheer number of loans being awarded to buyers. "While we have observed a rise in delinquencies over the past few quarters, it was to be expected due to the growth in subprime loans. We have to keep in mind that a majority of the market is still in the prime risk category," said Melinda Zabritski, Experian's senior director of automotive credit. "As long as consumers continue to do a good job of making their auto-loan payments on time and lenders keep a close eye on how rates fluctuate year over year, the industry should remain relatively stable." 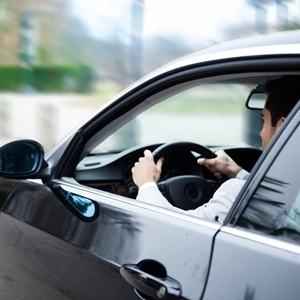 Ultimately, drivers can guard against delinquency by making savvy choices regarding their loans. Listen to experts and let them advise you as to the best course of action. Still, you'll have to choose a plan that you're comfortable with, so staying within your comfort zone is important. If you need help determining how to afford a car, let the team at New Jersey State Auto Auction come to your rescue. Not only does the lot have hundreds of Carfax-certified used cars, trucks and vans, but it also has a financing team. This in-house crew assists you in getting approved for a loan and figuring out how to manage monthly payments. Pouring all of your money into your gas tank can be disheartening to say the least. After all, there's nothing like paying to sit in traffic, whether you're on your way to work or simply trying to run errands in your free time. Drivers who are fed up with paying a lot for gas can find some relief at the pump – and put their funds toward things that really matter. The good news just keeps rolling in for drivers: Gas prices continues to fall steadily across the country. A recent report from AAA stated that the national average for gas has now remained below $3 per gallon for more than 16 days, falling to $2.89 per gallon by Nov. 17. Additionally, more than 75 percent of gas stations across the U.S. reported prices lower than $3. So with fuel expenses dropping, what should you do with all of that extra cash? Some people will justifiably be using that money to pay back auto loans and other debts, while some may be saving up so they can buy a used car. Others, however, will be using those funds for their holiday spending, according to a recent study from the National Association of Convenience Stores. The report noted that for every penny the average gas price drops, Americans save about $3.7 million per day on gas. Many of these drivers believe fuel expenses will keep falling, at least in the immediate future, so they have confidence to go out and spend their extra cash. Because of the proximity of the holidays, many of the funds will be put toward shopping and festivities. "Our surveys over the past two years show that gas prices clearly play a major role in consumer sentiment about the economy," said Jeff Lenard, the NACS vice president of strategic initiatives. "However, declining gas prices alone may not take consumer sentiment much higher in the short term. It may take similarly positive news about the economy as a whole before the majority of Americans feel positive about the economy." A few savvy drivers may want to use that bit of extra cash to get a head start on winter maintenance. That's certainly doable with some help from the Total Car Care Center at New Jersey State Auto Auction. The garage caters to the public and can address any issues cars may have. This Thanksgiving, you may be one of the more than 41 million Americans who are planning to road trip to visit their loved ones. If that's the case, then you probably have a lot on your mind, especially if you're trying to balance contributing to the holiday feast with driving hundreds of miles in a short time span. Here are a few tips to keep you and your family safe on the roads. It all starts with the vehicle. Make sure your car can handle a road trip by taking it in for a tune-up at New Jersey State Auto Auction's Total Car Care Center. The experts at this garage can address any issue you may have, providing you with the peace of mind needed to hit the road during this hectic holiday weekend. According to Google Maps, the Wednesday before Thanksgiving is the busiest day for traffic. In a perfect world, you could alter your travel plans to avoid this day, but that's simply not feasible for many families. If possible, try to stay off the roads between 3 p.m. and 5 p.m., which Google predicted to be the worst part of the day. During the weekend, Sunday looks to be less crazed than Saturday, and traveling that day could provide some welcome relief. With the cost of fuel plummeting around the country, there's no excuse to have the gauge hit empty while you're driving. 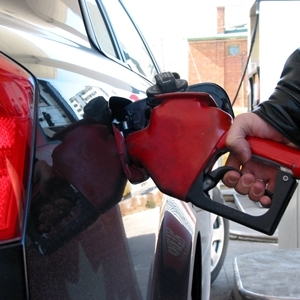 Make sure you fill up before pulling onto the highway, particularly if you're traveling during a popular timeframe. 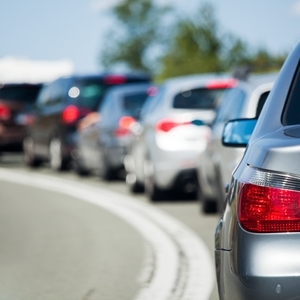 There's no telling how long you'll be stuck in traffic for – especially with last-minute delays like accidents and weather factors that can potentially impact your trip. You could be driving the same route you've taken hundreds of times before, but one tiny factor could throw all of your plans out of whack. Make sure you prepare for the worst before pulling out of your driveway. Have maps or a navigational device ready in case you have to change course suddenly. It also helps to have some cash on hand, as there could be surprise tolls or other expenses on these alternate routes. No matter what, you should expect some kind of delays on the road. With so many uncontrollable factors coming into play, even the most thorough plans could be thrown off track. Just take a deep breath and go with the flow. Temperatures are steadily going down across the country, and there's no telling how low they could go this winter. Regardless of how many layers you bundle up in, you'll have to get used to the cold – especially if you regularly commute in the early hours of the morning or after the sun sets. Is hypothermia a real problem? 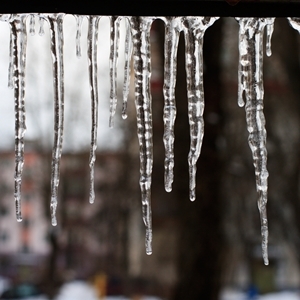 You may think that feeling the chill is just a side effect of driving in winter. However, the danger of hypothermia is real. The condition occurs when body temperature drops to an abnormally low level, causing many functions to slow down. It is also characterized by disorientation, fatigue, slower reflexes and poor muscle function, with the most serious cases eventually escalating to the loss of consciousness. All of this sounds pretty intense – and possibly far-fetched – but it is a real threat in the wintertime. It can be particularly dangerous for children and smaller adults, as body size does play a role in generating heat and staying warm. Even leaving someone in a car for a few minutes puts them at risk. Just as it's dangerous to leave kids or pets in a hot car under the summer sun, it's not safe to keep them out in the cold. On the surface, it seems like there's probably an easy fix: Don't leave children or pets in the car. However, it can become tricky, as it's possible to sneak into a vehicle in a home garage. Pets or kids may also make so little noise that the driver loses track of passengers. To avoid this, drivers are advised to always lock the car. This eliminates the risk of a pet or child climbing into the backseat when you're not paying attention. You should also keep something in the backseat that you won't forget about, such as a cellphone or a purse, as that will remind you to always turn around and check the area before leaving the car. 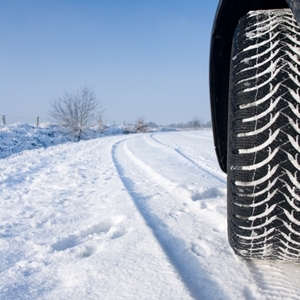 Does your car need a little help before it can perform in winter? If so, schedule an appointment at NJ State Auto Auction's Total Car Care Center. The garage caters to the public and is capable of addressing any issue you may have, including problems stemming from the HVAC system. Car theft is a problem that can strike anyone at any time. The National Insurance Crime Bureau recently released some information that points to winter being the most precarious time for drivers, as many let their guard down in the search for warmth. 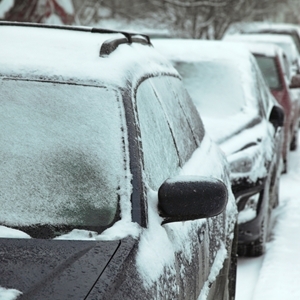 When winter strikes and temperatures plummet, many drivers change up some of their habits. For example, it's common to see people turn on their cars and leave them idling, without a driver, to warm up. While that makes for a more comfortable interior when passengers finally load in, it also leaves the vehicle a clear target for theft. "We all like a warm car with a defrosted windshield, but so do the car thieves," said NICB President and CEO Joe Wehrle. "Leaving a car running and unlocked in the driveway or parking lot is an open invitation to them to drive off with a vehicle that they normally couldn't steal." Certain holidays are also popular with criminals. The NICB noted that New Year's Day was the celebratory day with the most reported thefts, as 2,184 cars were stolen Jan. 1, 2013. That easily outpaced Halloween, which was in second place, and some of the summer holidays. However, a few other cold-weather festivals, such as Presidents' Day, Christmas Eve and New Year's Eve also had quite a few reported thefts. There is some good news, though. Thanksgiving and Christmas Day were the two holidays with the lowest number of thefts, with Dec. 25 marking the lowest point for the entire 2013 calendar year, according to the NICB. One of the most important things you can do to avoid theft is to make sure your car is running on all cylinders – literally and figuratively. For instance, if your ride takes a long time to warm up in the morning, you may want to have the HVAC system checked out. A simple fix could have your heat blasting in no time, which in turn means you won't have to leave the vehicle idling out in the open. If you want to have a tune-up to see if your car can be improved, schedule an appointment at NJ State Auto's Total Car Care Center. The garage caters to the public and can address any issues you may have. Recognizing when your car is in need of some fixing can be tough if you're not a professional mechanic. However, it's certainly not impossible – especially when you're smart enough to use all of your senses. Your nose may be able to smell some strange things going on under the hood, and it can be a good indicator of what needs to be checked out. Below are five smells you may sniff around your car and what they could mean. Even if you can accurately locate the sources of these odors, be sure to schedule an appointment at NJ State Auto Auction's Total Car Care Center. The professionals there can address any issues causing the smells while also making sure there are no underlying problems. If you smell burning rubber, it's probably not because you're starring in your own version of "The Fast and the Furious." Instead, it could be due to belts and hoses rubbing up against the hot engine, which burns through the material and causes leaks or tears. You can lift the hood and check out the situation there, and potentially make some easy fixes, but the burning could also result in the need for replacement parts. It may sound obvious, but smelling gas is a sign of a potential problem with your gas tank or fuel injection system. Leaking fuel is a fire hazard, so be sure to get this checked by an expert as soon as possible. Chances are you haven't smelled burning carpet before, but if you start inhaling something that could be this odor, it's time to check the brakes. When brake pads wear down or drag on the ground for extended periods of time, they emit this smell and may be unsafe. Have your brakes serviced and the pads replaced if necessary. Rotten eggs isn't a pleasant smell at any time, and that extends to when you're in the car as well. The most common cause for this odor is a problem with your catalytic converter, which likely needs to be replaced. While this can be expensive, it's also a preventative measure that will definitely save you in the long run. Getting a whiff of something sweet may be nice when you're stuck in traffic, but if the smell is coming from your car, it's usually a warning sign that something is off with your engine coolant. 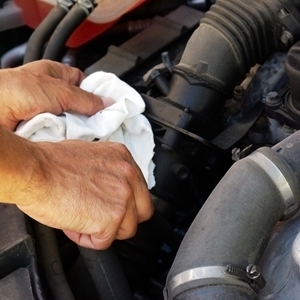 Your best course of action is to let an expert examine the fluid levels when the car has cooled down. One of the most common reasons for taking a car into the shop is to figure out why that pesky check engine light is on. If you see your dash light up with this warning, take these three steps to address it. First thing's first: Don't ignore the check engine light. While it may blend in with the many other lights and gauges on your dash, it flicks on for a reason. Even if yours is constantly turning on and off, you need to have the problem examined – it's good for your safety and your wallet. "Even if the vehicle appears to be running normally, ignoring the warning light could result in more costly repairs," said Rich White, executive director, Car Care Council. "At the very least, the light could be alerting you to an engine problem that is negatively impacting fuel economy and costing you money." You shouldn't automatically assume anything about your check engine light. If the light is steady, then it's likely a standard problem that can be fixed with a quick tune up or a replacement part. There's no reason to freak out when this alert comes on, although that doesn't mean you should procrastinate a visit to a mechanic. "Motorists should not get spooked when the check engine light comes on," White continued. "When illuminated, the check engine light usually means that a vehicle system, such as the ignition, fuel injection or emission control, is not operating properly." The exception to this comes when the check engine light blinks instead of simply remaining lit. In these instances, the light is trying to alert you of a bigger problem going on under the hood, and immediate action must be taken. Take care to slow down and ease off the power, then get your ride to an expert right away. It's important to remember that each time the check engine light turns on, it's a new problem you must address. Just because a past instance was a fluke or an easy fix doesn't mean it's always going to be that way. You need to regard each warning light as a potentially serious problem, and that means scheduling an appointment with a professional as soon as possible. The Total Car Care Center at NJ State Auto can help in this regard, as the garage caters to the public and can address any issue you may have. With winter approaching, most of your energy will probably go toward switching to snow tires, inspecting the engine and making sure your heat is working smoothly. While all of these are certainly worthy causes, they aren't the only issues you should be focusing on. Your car's headlights are just as important – especially during the winter – and they need to be treated as such. Bulbs can dim over time, and the glass can become dirty, making seeing the road more difficult. That's hazardous at any time of year, but it's magnified in the colder months when the sun sets earlier. Here are three tips that you should keep in mind as the days get darker. First thing's first: If you've had the same lights on your car for ages and they've never or rarely been looked at, it may be time to upgrade. Luckily, there are tons of viable options out there that won't break the bank. So you know you can upgrade the lights themselves – now what? It's not all about buying the most expensive option on the market. In fact, you can do a little shopping to find bulbs that are ideal for your driving habits. For instance, if you regularly drive great distances and are no stranger to nighttime road trips, you'll need bulbs that can keep up, and those will be different than a parent who mostly commutes during the day. Do some research to find the perfect option for you. Many people don't give their headlights a second thought, but it's important to care for them just as meticulously as the engine or car battery. Make sure they're examined regularly and given the same level of maintenance as the rest of the vehicle. All you have to do is note how they're performing at all times of the year. If you see a dip in performance, take the car to an expert and rest easy. 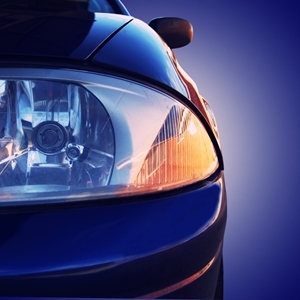 If you think your car's headlights need some love, schedule an appointment with the Total Care Car Center at NJ State Auto Auction. The garage caters to the public and is capable of addressing any issues you may have. Even if your lights are in tip-top shape, the team of experts may be able to find a few other fixes that will enhance your driving experience. What’s The Deal With 0 Percent Financing? Anytime you're shopping around for a used car, the number zero can be a joy to hear – especially if it refers to your interest rates. But how much do you really know about 0 percent financing? If you're like most people, you've likely heard more rumors and theories than actual truths, and it's important to weed out fact from fiction before jumping into the car-buying process. The first thing you need to know is this: 0 percent financing options are not as popular as they once were. Even if you're lucky enough to find one, that doesn't mean it's applicable to you or even the best overall option. Before you can make that decision, however, you should be aware of the specifics. This type of option is only offered to people with excellent credit and is typically used on shorter loans, according to ABC News. In many cases they are regional as well, so even if you qualify, there may not be any of these deals in your area. Finally, you'll rarely find one of these options on a luxury car. They're commonly used for vans and non-luxury vehicles instead. Going with a 0 percent financing option could be a good idea, but it's not always feasible. The next best thing is a deal with a low interest rate. Not only are these options more obtainable for most drivers, but they also offer increased flexibility. You may be able to apply the auto loan for a wide variety of cars or extend the term. It's important to remember that even people with bad credit can find financing options that don't break the bank. You never know where you're going to locate the best possible deal, so be sure to be up-front with the car dealership and explore all courses of action. Even if you're unsure about which auto financing deal is a good choice, you can still get a head start on your car shopping. It all begins at New Jersey State Auto Auction. The lot has hundreds of Carfax-certified used cars, trucks and SUVs you can browse through. Once you find the right one, the in-house financing team can step in and help you navigate the processes to land the perfect deal. Posted in Auto Loans & Financing News | Comments Off on What’s The Deal With 0 Percent Financing? 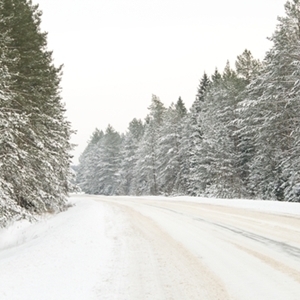 With winter fast approaching, it's time drivers get ready for the inclement weather ahead. This starts by getting a tune-up for your car, which is why NJ State Auto has its Total Car Care Center open for business. This garage can address any issues your ride may have, but it only represents the first layer of protection against getting stranded this season. If you're a driver in the Northeast, you know winters can be tough. That's why you have to prepare for the absolute worst conditions. Freezing temperatures are just the beginning – you'll likely also have to contend with heaps of snow, slush, icy roads and hail. Make sure your tires are up to snuff. Then turn your attention to windshield wipers, the HVAC system, the car battery and the engine – all of the parts that will be heavily affected by extreme weather. Part of your preparations should consist of putting together an emergency kit. While you should have some semblance of this in your car already, it's important to check in with your gear to ensure everything is still operating as it should. "No matter what region of the country you live, State Farm encourages all drivers to stock their trunk with emergency kits to help if the unexpected happens," said John Nepomuceno, auto safety research administrator from State Farm. "Also, check to make sure all of your supplies are working properly. What's worse than a flat tire? Discovering your spare is flat too." Some of the basics that all drivers should have include a spare tire, jumper cables, area maps, an ice scraper and brush and a flashlight. Those can help should your car run into trouble, but for human problems, be sure to have a first-aid kit as well. It can also pay to have a spare change of clothes in case the weather gets the best of you. The above only includes the basics that all emergency kits should have. If you really want to kick your preparations into high gear, consider adding some more specialized equipment. For example, having road flares and reflective road signs can help you out in the event you get stranded or need to do some emergency work on your car. Another winter staple is road salt. This is key for gaining traction on a slippery surface, but if you don't have any on hand, cat litter can serve the same purpose. The holiday season is right around the corner, and that means the time of feasting and visiting loved ones has arrived. Of course, before this can happen, people have to get to their loved ones, which frequently involves road trips. Whether you're traveling through the city or across the country, be sure to know what to expect before you leave. According to Travel Pulse, there is a 12-day window for Thanksgiving travel this year, extending from Nov. 21 to Dec. 2. The number of air travelers taking to the skies is expected to increase this year, the source reported, but that doesn't mean the highways will be emptier. In fact, with the average price of a gallon of gas dropping below $3 in much of the country, more people may be encouraged to get behind the wheel. Last year, more than 43 million Americans traveled more than 50 miles from home to reach their Thanksgiving destination, according to an AAA report. About 90 percent of those drove, which accounts for almost 39 million people on the roads. If this year's numbers are similar, travelers could have to put up with plenty of congestion, especially on the busiest travel days. The Wednesday before Thanksgiving is generally the worst, with more than one-third of people traveling that day. Roughly the same number return on both Saturday and Sunday after the holiday. If you plan on driving somewhere this Thanksgiving, the first thing you should do is make sure your car can handle the trip. Heavy traffic means you could encounter many stop-and-go scenarios, so be sure your brakes can stop on a dime. It could also be beneficial to have a standard tune up, as a professional may be able to identify areas that need quick fixes. Just an extra hour in the shop could result in plenty of time and money saved on the road. New Jersey State Auto Auction can help you get any vehicle ready for a road trip. Take your ride into the Total Car Care Center for a tune up, as the garage there caters to the public and can address any issues you may have. Whether you need a simple fix or more extensive repair work, the team of experts at the garage can get you headed in the right direction. 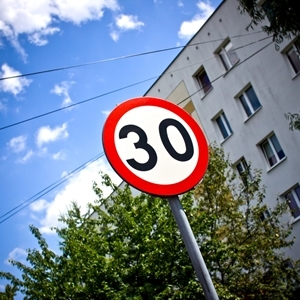 New York Lowers Speed Limit – Now What? Traffic in New York City has never been great – just ask anyone who has to try to get to work on time. Still, many people choose to jump in their own cars or use taxis to cross the boroughs. The next time you head into the city, however, you're going to have to slow down. Mayor Bill de Blasio recently lowered the default speed limit in the city to 25 mph. While this is only a small drop from the 30 mph limit on most streets, it could be a significant one. The Department of Transportation Commissioner Polly Trottenberg told CBS News that the 5 mph decline halves the risk of a fatality in a crash, which is key for protecting the many pedestrians in the area. "I think there's a real consensus in this town that we need to have people drive more carefully, more safely and slower for the protection of our kids, our seniors," de Blasio told reporters, as quoted by CBS News. The reduction is part of de Blasio's "Vision Zero" campaign, which aims to decrease the number of traffic deaths in the city. This will undoubtedly take time, but fatalities have already declined through 2014 compared to previous years, and the rollout of this new legislation isn't even complete, according to AutoBlog. The law just went into effect, so it remains to be seen if drivers throughout the city will obey the new rule. Many objected to the change initially, fearing increased police presence and speeding tickets. According to The New York Times, however, the city is not expected to increase ticketing – at least not just yet. It will take some time to update and replace street signs as well, and officials don't want to make an enemy of drivers as they get used to the new reduced speed. Anyone in or around New York City will need to make sure they comply with these rules – and that means having a vehicle that can handle the braking and accelerating of urban traffic. That's where New Jersey State Auto comes into play. Not only does the auction lot have hundreds of Carfax-certified cars, trucks and vans for sale, but there's also a garage that can address issues relating to driving performance. Posted in General Auto News | Comments Off on New York Lowers Speed Limit – Now What? Having a credit history is essential for making big purchases. Unfortunately for some people, their past isn't quite as rosy and pristine as they'd like. In fact, many would-be car shoppers have to deal with subpar credit scores, shaky payment histories or even bankruptcy filings. But it's never too late to pick up positive habits – and ignore the bad ones. 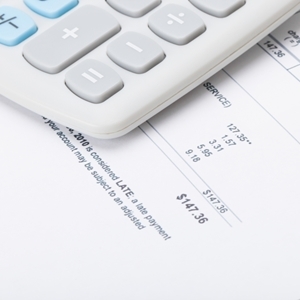 Here are three credit mistakes you should avoid like the plague. You could think you have a great deal on a credit card, but unless you comb through all of the fine print, you'll never know for sure. Your card could be loaded with hidden late fees, minimum balances, gradual interest rate increases or other penalties. Make sure you know what to expect before getting involved with a company. Any time a policy changes, it could be enough to disrupt your payment pattern, so work to avoid these situations. Some people fall into the trap of using a credit card to buy things and then only making minimum payments on their bill. That's a good way to quickly build up debt without reaping the rewards on your credit score. Instead, try to pay off the entire balance whenever possible. USA Today reported that people using rewards cards should also be motivated to make bigger payments. The cash-back rewards or perks received for using a card usually amounts to 1 or 2 percent of the total purchase, which isn't enough to outweigh interest rates. To truly take advantage of these rewards, pay off your balance in full, or as much of it as you can. If you have credit cards but you aren't doing anything with them, then you aren't building credit. That means you're probably paying start-up fees without getting any of the benefit. Start by opening an account with one card and using it for smaller purchases, paying off the balance immediately. Eventually you can work your way up to multiple cards and major buys. 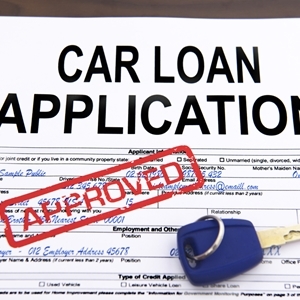 Not sure if your credit has you able to buy a used car? Let the experts at NJ State Auto Auction help you. The lot has hundreds of Carfax-certified cars, trucks and vans to choose from. Once you find the vehicle that works for you, the in-house financing team can sort through your options and figure out the best possible plan. Thinking about all of the financial scams out in the world is enough to send you into the backyard with a shovel to bury all of your cash. It doesn't have to be that way, though. If you're vigilant and use plenty of common sense, you can protect all of your assets while still making all of the purchases you need to. It all starts with knowledge. Brush up on a few of the most common scams found in the auto industry so you know what to look out for. One of the most prominent scams out there today involves mobile repairmen offering to make auto repairs. These individuals aren't involved with a garage or dealer – instead, they advertise via online message boards, such as Craigslist, and try to woo unsuspecting drivers with low prices and empty promises about timely repairs. However, most of the time these so-called experts are nothing more than con men. They'll do superficial repairs – if that – and then return your car. In a few days, you'll find that there are even more problems and you've been fleeced out of hundreds of dollars. "These guys will do terrible work, they're unlicensed, shoddy work, wrong materials," Eric Friedman, of the Montgomery County Office of Consumer Protection, told WJLA. "They'll probably cause more problems. They'll take the money and run." 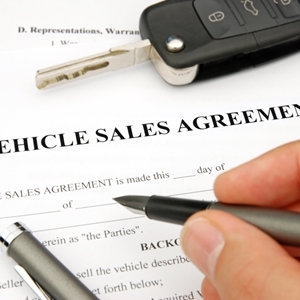 If you go to buy a used car and the salesperson, whether from a dealership or an independent owner, leaves any part of the transaction up for interpretation, you should get out immediately. Forbes magazine recommended reading over all documents and making sure everything is set in stone before you drive away. In some instances, new owners will be contacted days later, with the seller stating that there was some type of problem with the credit application or other procedure. This could be a scheme to get more money from the buyer, but you can avoid falling into this trap by hashing out all of the details before taking the car. 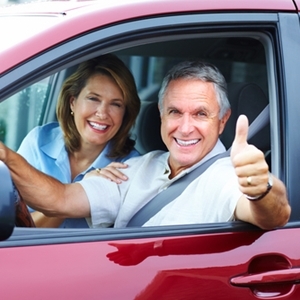 To find used cars safely, head to New Jersey State Auto Auction. This lot has hundreds of Carfax-certified cars, trucks and vans, so you can rest assured you're getting a high-quality vehicle at a bargain of a price. It even has its own repair garage, called the Total Car Care Center, which is able to address any auto issues you may have without resorting to shady personalities on the Internet. So you want a new car … now what? The first thing you may have to do is get a reality check, as the cost of a brand new model is pretty high. For some drivers, that's just one of the many reasons to find used cars instead. These pre-owned models provide great value, and in light of the most recent sales figures, they may be the best option as well. According to a report from Cars.com, the average transaction price for new cars purchased in October reached $30,382. That's the highest so far for 2014 and represents a slight uptick from September's expenses. However, the cost could be even higher. USA Today reported that TrueCar pegged the average transaction price for the month at $32,957. People still need loans to help pay for these expensive new cars. The source reported that the average length of a loan needed to purchase a new model was 67 months. That's the second-longest term in history, and while it could be good news for drivers who don't mind spending a little during their time as owners, it can make a big difference for those who care about the bottom line. The prices may be going up, but more people buying new cars means there may be greater numbers of used cars entering the market. As vehicles get traded in or discarded for newer models, savvy drivers are able to pick out real gems. It could even be easier to find a viable car because gas prices are dropping around the country. A report from AAA found that the average cost of a gallon of gas has recently dropped below $3. With these expenses dropping to their lowest point since December 2010, more people are turning to large SUVs and pickup trucks. They may have been considered gas guzzlers at one point, but in today's world they are almost as practical as smaller sedans. Are you convinced yet? Used cars can offer plenty of value for anyone – drivers just have to know where to look. Start your search at New Jersey State Auto Auction. Our lot has hundreds of Carfax-certified used cars, trucks and vans for sale, and you'll be able to find many models at prices that fit in your budget. 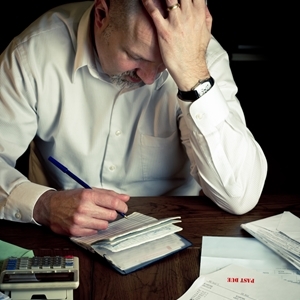 Have you filed for bankruptcy recently? If so, then you're one of the hundreds of thousands of Americans who find themselves in this precarious position each year. While bankruptcy can feel like the end of the world, it does provide a way to start over – provided you know the best methods of doing so. Here are a few ways you can work to rebuild your credit score. It's going to take a while to get your credit score up to snuff, but you should be consistently checking in on it to ensure that it's moving in the right direction. This also allows you to ensure that there are no errors or inconsistencies on your report, which in turn guarantees there isn't a separate problem holding you back. Part of the benefit of declaring bankruptcy is being able to start over with regard to your finances. Take advantage of this by saving up enough money to open new bank accounts. The Huffington Post also recommended applying for a secured credit card or retail card to start rebuilding credit. They key is to not use these cards to make extraneous buys – use them to get the basics and then make moves to prevent debt from growing. Scrambling to make minimum payments – along with not making payments at all – is part of what got you into debt in the first place. Instead of going right back to your old habits, embrace some positive ones by keeping debt under control. 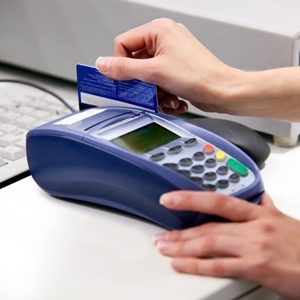 Whenever possible, use credit cards to make small purchases and then pay off the balance immediately. Gradually, this will build up a credit score and allow you to make larger purchases. Declaring bankruptcy may have you thinking that you're stuck with your current car, as it can be tough to find a loan for a purchase. However, spots like New Jersey State Auto Auction help subprime buyers find used cars that can meet their needs and budget. Our in-house financing department has the power to get you approved for credit even if you've had trouble in the past, and you can use that to select one of the hundreds of Carfax-certified cars, trucks and vans on the lot. Want to spend a ton of money when you purchase your next car? Unless you've stumbled across some buried treasure, the answer to that question is probably no. Unfortunately, many drivers don't know what to do to keep cash in their wallets. 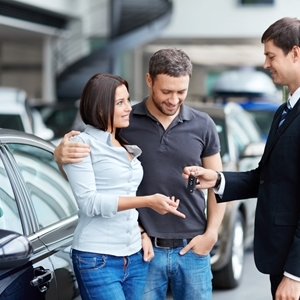 Here are a few do's and don'ts to keep in mind when shopping around for cars. We get it: A lot of people want to enjoy that new car smell when they get behind the wheel. However, not many know how much that aroma actually costs. Yes, you're getting a high-quality car, but the second you drive off the lot it begins dropping in value. Yahoo reported that a new vehicle with a sticker price of $30,000 loses more than half its value in the first three years of ownership – a fact that can leave you owing more money than your ride is worth very quickly. Your best bet for saving money may be to find used cars that meet your needs. Today's used cars offer many of the same technology and safety features that you'd see on a newer model, all at a lower price. If you can find an option that's been well-maintained and has the qualities you like, you might want to jump on it. Most buyers will need some kind of help affording a car, regardless of whether it's new or used. If you fall into this category, make sure you're doing your research before agreeing to a loan. Just because you think an offer may be the best to come along doesn't make it so. Look up average loan terms and interest rates for your area and budget, and use online calculators to check that your offer is fair. Many drivers, especially those who are classified as "subprime," may be tempted to accept a longer loan because it allows smaller monthly payments. However, with these agreements you'll probably be paying much more in the long run – maybe even more than the car is worth. Try to scrounge up money for a hefty down payment or splurge for the shorter loan instead. If you need help finding a used car, head to NJ State Auto Auction. Not only does the auction lot have hundreds of Carfax-certified used vehicles for sale, but it also has an in-house financing team that can help save you money.